Caring support coupled with competent care can aid patients in handling their symptom burden. 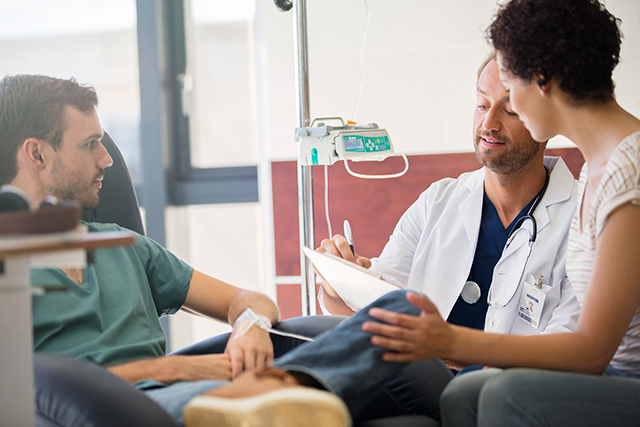 The CHEMO-SUPPORT intervention is an effective method for providing patients reassurance and confidence in dealing with treatment-related symptoms at home, according to a study published in the European Journal of Oncology Nursing. Although cancer and its associated therapies cause significant symptom burden among patients with cancer, effective management of symptoms and supportive interventions are lacking for this patient population. For this mixed-method study, researchers evaluated the experiences of 71 patients with cancer who received CHEMO-SUPPORT via a combination of questionnaires and interviews. CHEMO-SUPPORT is a nursing intervention aimed at reducing symptom burden of chemotherapy using coaching, brochures, and access to online or on-call nursing services. Results demonstrated that the caring support of nurses, along with the provision of competent care, reassured patients and allowed them to feel more capable of handling their symptoms. Patients’ view of the intervention was partly subjective; the importance of the intervention for patients was influenced by their specific symptoms and coping mechanisms, as well as their experience with regular care. The brochure was considered to be the most helpful aspect of the intervention, receiving a helpfulness rating of 8.5 on the questionnaire compared with on-call and online availability, which received the lowest score of 7.7. The counselling session provided at the start of treatment and telephone counseling during the first few days at home received a helpfulness rating of 8.2. Coolbrandt A, Milisen K, Wildiers H, et al. A nursing intervention aimed at reducing symptom burden during chemotherapy (CHEMO-SUPPORT): a mixed-methods study of the patient experience. Eur J Oncol Nurs. 2018;34:35-41.